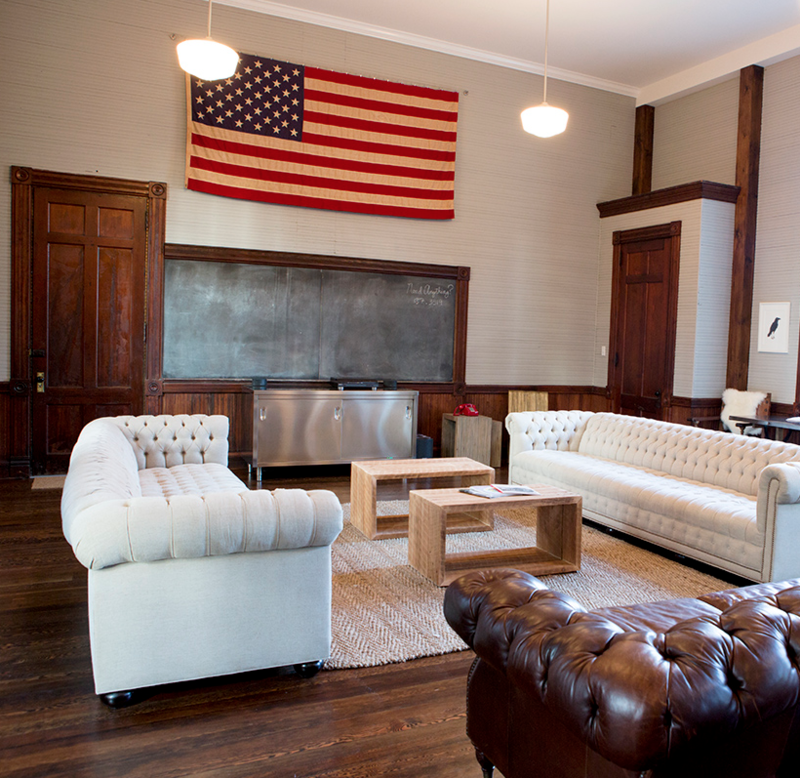 Courtney and Bronson Bigelow of NYC approached us while restoring their newly acquired 1800’s Catskills School House. The goal, to create a boutique bed and breakfast in the coveted Catskill Mountains region of New York State. After creating the overall branding esthetic of their logo we then took on the task of creating a brand package that fit the look and feel of not only the logo but the lifestyle brand they would soon develop based around the classic stylings of reclaimed wood and vintage subway tiling. Opened in 2012, the Hillside Schoolhouse quickly became THE place to vacation for creative city dwellers. We gave them a fully self-sufficient booking application tailor made to fit their needs. This allows individuals to book not only single rooms, but the entire house if need be. Bronson also wanted a place to sell his ongoing collection of brand related vintage items as well as unique hand made pieces of furniture made on the premises. We ultimately set up a custom e-commerce shop within the existing structure to continue to drive web traffic to the site.